The Tamesna Center for nomadic life began in 2008 with a well. Conceived to bring services and education programs nomads want and need, it is located on the annual migration route, accessible without having to settle down and lose their cultural and economic traditions. Since 2008 we have completed a medical clinic, adult education center where we have conducted midwife training, earthbag building training solar fabrication training programs, a boarding school, nurses residence, vaccination corals, fenced garden and latrines. As the centers programs expand we initiated a festival in November 2013 to invite nomads of the entire region to celebrate with us and to present to them our programs and exchange ideas. This is a unique interaction with the remote and inaccessible populations of the nomadic north. In the six years we have been fixed at the center, the nomads have developed confidence in us. We hope the programs continue to expand according to the current needs and to improve the stability of the region through interaction, friendship and opportunity. HISTORY: Nomadic tribes in Niger live as they have for centuries, seeking pasture for their herds on the fringes of the vast Sahara Desert. They roam the most remote, inhospitable part of the poorest country in the world. Difficult to find and serve, they have long been ignored by their own government and overlooked by humanitarian organizations. For more than a decade the Nomad Foundation has been assisting these vulnerable people, whose nomadic existence is threatened by decreasing pastureland, political upheaval and uranium mining. 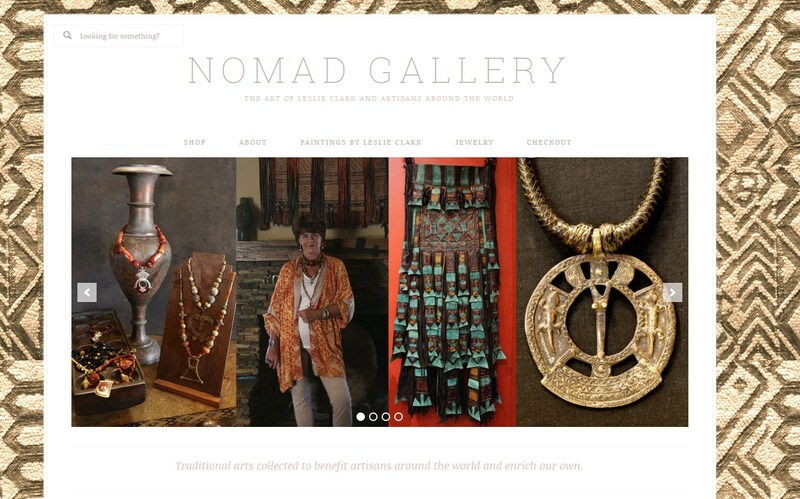 Digging wells, building schools and cereal banks, vaccinating animals, and teaching new job skills, the Nomad Foundation has helped the nomads preserve their rich traditions while also creating economic opportunities. 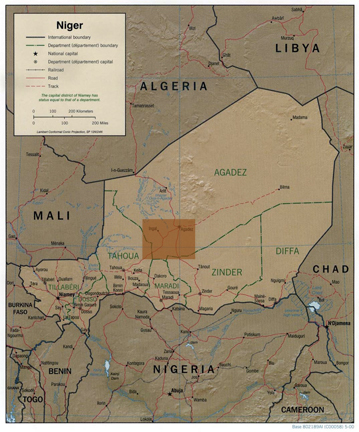 In 2009, the foundation opened Niger’s first medical clinic expressly designed for nomads, serving an area of 50,000 square miles. Thousands seeking medical care for the first time in their lives have come to the clinic on foot, by camel and donkey, or in wagons. Midwives have now been trained to help women (who suffer the worst maternal mortality rate in the world) safely deliver babies in the bush. The next step was education of nomadic children. (The literacy rate in Niger is 33% and worse among nomads.) Located next to the medical clinic, the school will anchor the new nomadic community of TAMESNA, located about 35 miles from the closest village of Ingal and conveniently situated along the nomads’ annual migration route. The school has been open for 2 years with the children staying in nearby encampments. Eating three meals a day, which we provide at the school. Parents who agree to help tend the school garden and its animals– and who agree to enroll both their daughters and their sons in school– will be allowed to settle at TAMESNA, using the community’s water and benefiting from the opportunities and services there. Several nomadic communities would like to relocate to TAMESNA. Some are desperately seeking a new home base because their existing land has been contaminated by uranium mining. Within a few years the school will be enlarged with construction of dormitories and a kitchen to accommodate boarders. Ultimately, the school is expected to enroll hundreds of students. The nomadic Touareg and Wodaabe of Niger have faced challenges to their nomadic way of life from environmental and political concerns. These have recently become more serious due to the discovery of uranium in their traditional pasturelands and the departure of many of the organization that used to help them because of security concerns in the region. The Tamesna Center for Nomadic life is conceived to help them meet these challenges. Located in the heart of nomadic territory, on the annual migration route to the pastureland of the “salt cure”, it is easily accessible to both nomads and vehicles. Tamesna will provide a fixed location for nomads to have access to essential services that require a fixed location. Here they will be able to visit and explore ways of adapting to the changing world and improving their lives, without abandoning their nomadic traditions. Tamesna Center is the focal point of all our projects--bringing essential services to nomads with fixed facilities on their annual migration route.